So of course we had to drink wine in Wien and cross that one off our to-do list. Nevertheless Wien is much more than just a place to drink as there is much to explore and see first-hand. If you’re a foodie then you better take a seat – traditional dishes are very popular in Wien and literally melt in your mouth *Warm memories of Sachertorte enter*. 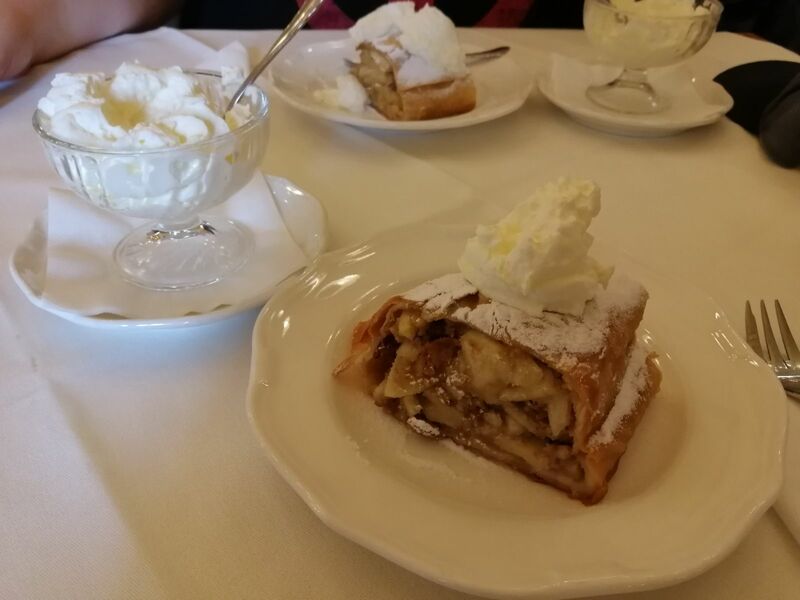 Ever had Apfelstrudel, traditional applepie with whipped cream? Apfelstrudeln, Apple Pie Wien style. After stocking your belly full of delights you better burn those calories by walking the city streets. 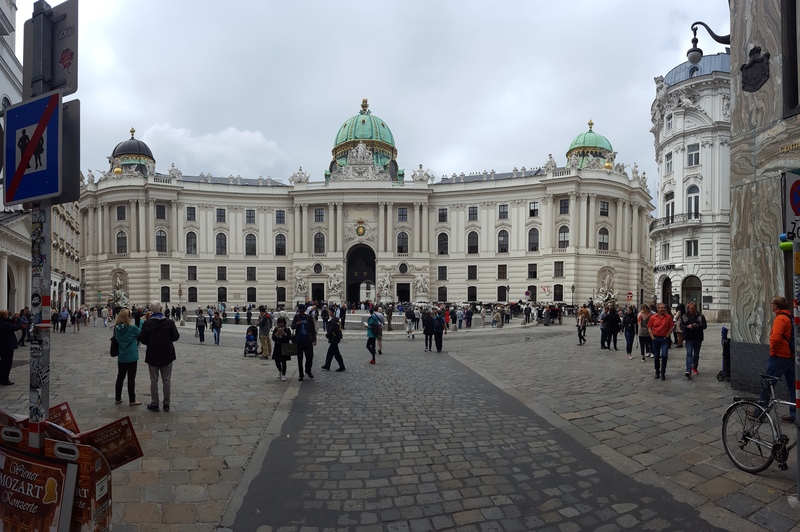 Architecture of Wien will not let you down and there are many fascinating buildings with rich history. 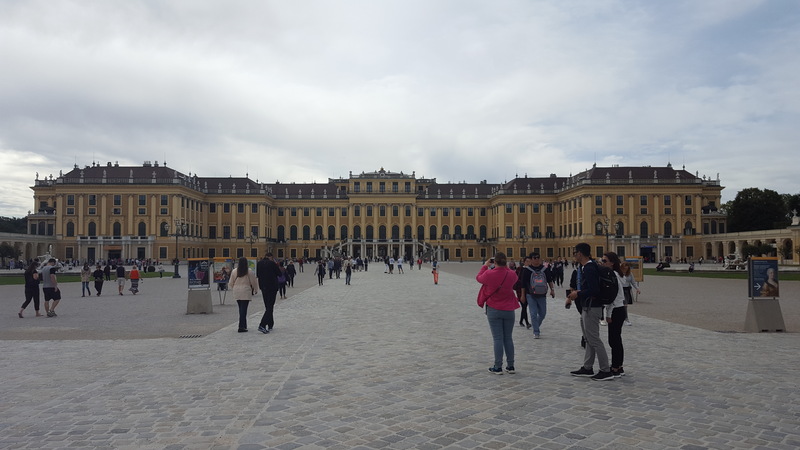 Let’s take Schönbrunn castle for example. The 1441-room Baroque palace was once imperial summer residence for the noble monarch family of Habsburg. Even Napoleon spent nights in Schönbrunn after he won wars. Schönbrunn Castle from the main entrance. For fashionistas the city centre is filled with luxurious fashion shops and other high valued status merchandise where the knee-deep rich can spend portion of their their bank accounts. The views from the shopping streets are beautiful as the old architecture blends very well to the new buildings. One thing you cannot miss in Wien are the horse carriages which take the tourists for a stroll in the city. Horse carriages next to St. Peters Church. Now we have just arrived to the city of Salzburg and let me tell you folks, this place will be a glorious adventure. Austrian city which is next to the snowy Alps..did we hop into the cable car already? All aboard! Enjoy your thursday!